Theresa Beech is the mother of two kids, Daniel and Sara. When Daniel was 11, he was diagnosed with osteosarcoma, an extremely aggressive and deadly form of bone cancer. Two years later he was dead. 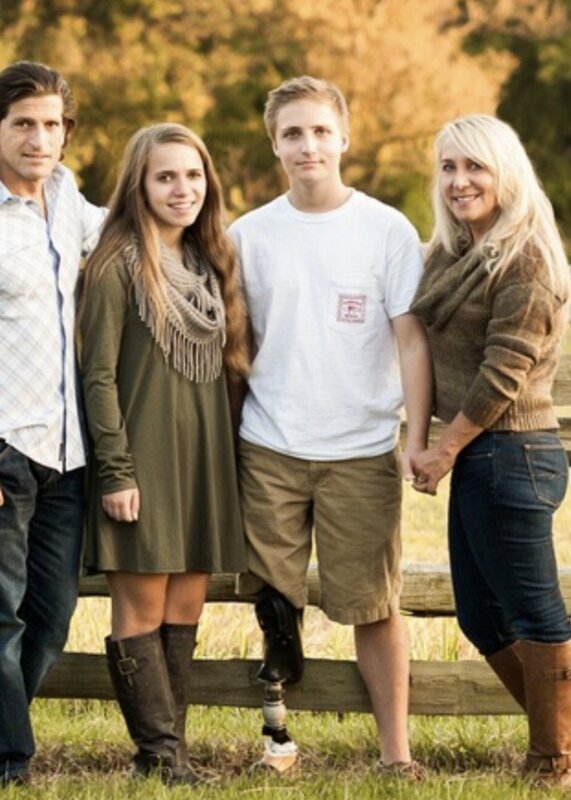 While Daniel was on hospice, Theresa started doing research into osteosarcoma genetics and was able to identify two drugs which corresponded to mutations in his tumor and prolonged his life. She has continued her research since his death and is the Principal Investigator of POWR, the Patient/parent Osteosarcoma genome-Wide Registry, believed to be the largest genetic and medical registry of osteosarcoma data in the world. She is also the founder and President of “Because of Daniel”, a charitable foundation dedicated to osteosarcoma research and clinical trials. In her day job, Theresa is a space engineer (aka rocket scientist) working at NASA. Osteosarcoma found Olivia and her family when Olivia was diagnosed with OS in February 2017. While Olivia dove into treatment, Michael, a partner at Latham & Watkins in Washington, DC, dove into finding answers, understanding current research, reaching out and meeting thought leaders, and raising money for kids cancers. He met Theresa, Miriam and Ben, and, inspired by Theresa’s work on genetics and Miriam and Ben’s dedication, helped get the Osteosarcoma Collaborative organized as a charity, and lead the collaboration with St. Baldrick’s Foundation to fund the largest single grant for osteosarcoma research to date ($1.5 million). As Olivia worked through chemotherapy and physical therapy with her new knee she joined the effort and found her voice as a patient advocate and fundraiser. Together they want to bring the osteosarcoma community together to raise awareness and improve treatments and outcomes for children with osteosarcoma. Miriam and her husband Scott had everything they had ever wished for: two beautiful, happy, and healthy children - Austin and Courtney Cohen. In early 2014, the shocking news came that their son Austin had cancer. He died from osteosarcoma in May 2017. Austin did nothing wrong but the lack of medical research in osteosarcoma failed him. Miriam recognized that something more had to be done regarding how to fight this horrific disease. 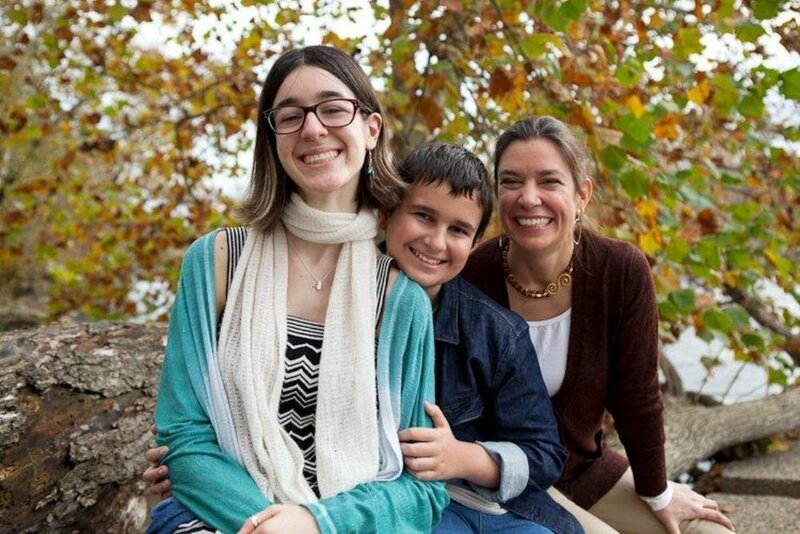 Miriam is taking action and joining forces with other like-minded families and foundations to fundraise, help families navigate this disease, and advocate for a cure for this beastly disease. Miriam is a Computer Security Subject Matter Expert with 20+ years of experience working as a consultant, independent contractor, and currently as a government employee. She will no longer stand by while children are treated with the same treatment that has resulted in so many other senseless deaths. To quote Austin and one of his best friends: "If not now, when?" Ben Moody is the father of Claire, who was diagnosed with osteosarcoma in 2012 and who passed away in 2016, aged 24. She was a bright light; she lit up every room. Claire was irrepressibly happy; teeming with energy, she flapped, she twirled, she loved to laugh. One of Claire’s many doctors wrote “Claire is an inspiration to all of us that care for sarcoma patients or do sarcoma research; she is the motivation that pushes us on our journey to find a cure.” Inspired by Theresa’s pioneering vision, Ben is honored to join Theresa, Miriam and Mike to collaborate in the work to find a cure for osteosarcoma. Ben is co-founder of Pan American Finance, an advisory firm based in Miami, Florida, with a key focus on raising capital for renewable energy. Ben has over 35 years of investment banking and private equity experience, and is a graduate of the University of Oxford. 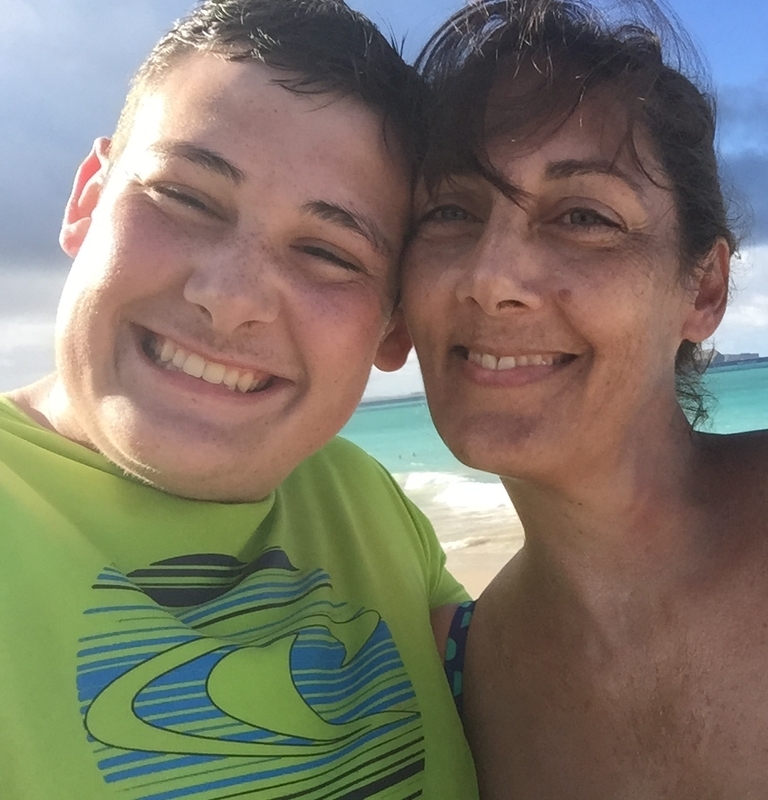 Christiane Robbins is the mother of David, who was diagnosed with localized osteosarcoma in his left fibula in March of 2014, just after his 15th birthday. After following standard treatment of chemo, surgery, and more chemo (treatment has not changed in more then 30 years), David relapsed within 6 months when a tumor was found in his left lung. This was the beginning of a very long, painful journey of 1,336 days for David who enrolled in every possible clinical trial to fight this disease and help move much needed research forward. David passed away on November 30th, 2017. Throughout his battle with osteosarcoma, David never let cancer define who he is. His medical team loved him for always smiling, never complaining despite being in tremendous pain. David never faltered, and strove to exceed the expectations of his family, friends, teachers, and coaches. In his memory, Christiane and David’s sister, Gabrielle, are committed to continue the fight against this devastating disease. Christiane works at the National Institutes of Health as a Program Officer for Institutional Training Grants. Before that, she spent over twenty years conducting research in the field of cancer genetics, primarily on prostate cancer. Christiane has a MS and MPH in Epidemiology from Johns Hopkins University Bloomberg School of Public Health. She considers it an honor and privilege to be part of Osteosarcoma Collaborative. Bergen Romness was an extraordinary teenage girl trying to hide it the best she could until her BFF Olivia was diagnosed Osteosarcoma in February of 2017. Bergen started by visiting Olivia in the hospital during her chemotherapy regiment. It struck Bergen that there were no new treatments for OS in over 30 years, that the current medicines made her friend very sick, and that the current treatments didn’t have very good success rates. She knew things needed to change, and knew kids could help that change. Bergen organized her friends across multiple schools to do our first Brave the Shave event, which included 30 shaves, 40 Pantene Beautiful Locks, and raised $325,000. In 2018, Bergen and her friends recruited even more high school teams across the D.C. area, resulting in 40 shaves, 50 Pantene Beautiful Locks, and over $600,000 raised. It also resulted in some very interesting hair looks across town for Graduation and Prom… and all for a great cause, to find new cures for OS.